Olanya Denish is a licensed clinical officer from the village of Kalongo in the Agago District of northern Uganda. Denish helped co-found and run the Northern Uganda Medical Mission Clinic (NUMEM), and currently serves on the board. Oyoo Benson was born in the Northern Ugandan village of Lunyiri in 1986. After becoming a licensed clinical officer in Uganda (roughly, what is called a "physicians assistant" in the U.S.), Benson co-founded the Northern Uganda Medical Mission (NUMEM), which opened the NUMEM Health Center in Pader, Northern Uganda, in May of 2013. Benson currently serves as the executive director for NUMEM while studying to become a physician at St. Augustine’s University in Kampala, Uganda. Patrick was born in the Akonyibedo village in county of Aswa in Gulu. Patrick helped to co-found the Northern Uganda Medical Mission (NUMEM), where he served as the Chief Clinician for the first three years of its existence, and currently serves on the board. 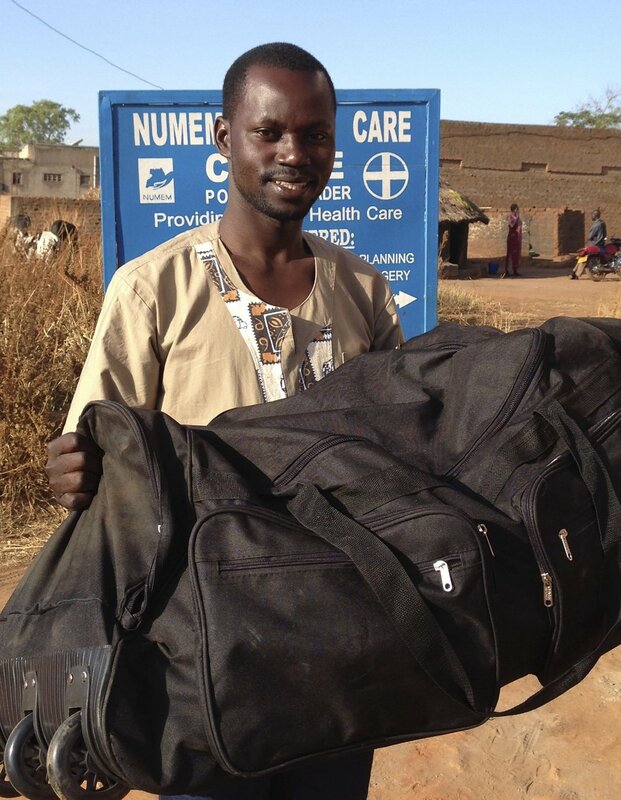 Help support the education of Northern Uganda's medical workforce. Both Denish and Patrick were awarded partial tuition scholarships by the Ugandan Government. The remaining costs of tuition, roughly $2,000 per year, and living expenses approximately an additional $2,000 per year, are covered by Asteroidea. We are currently looking for donors to help us cover these costs. Contact us more information about how you can help! © 2018 Asteroidea Health Alliance, Inc.
Asteroidea Health Alliance, Inc. is an IRS 501 (c) (3) organization. All donations are tax-deductible.